If you’re new to the world of investing, you’re no doubt in a state of anxiety, fear and confusion. While taking the investment plunge is a big step, the results can be extremely rewarding, a fact well known by Ron Bakir, founder and CEO of HomeCorp, a large Australian property development company. With years of experience in the business world, it’s not a bad idea to take a leaf from Ron Bakir’s book and read these five tips for building successful investments. Before you even contemplate making an investment, it is important to take the time to sit down and etch out your objectives. 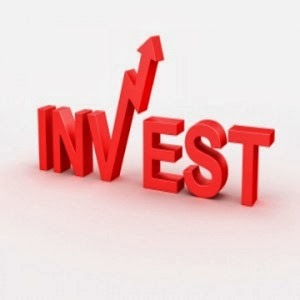 How soon do you want to see a return on your investment? Do you want to achieve a large return? Ask yourself what you want to gain from the investment; your answers will directly affect what types of investments you pursue and the results will be more likely to alignwith what you define as ‘successful’. Another vital point to consider is your tolerance for risk. Investing can be dicey and volatile, which is exactly why it is not suited to everyone. You could lose money or receive a smaller return than expected; are you financially secure enough to accept this result? Again, by being realistic with yourself and your need for security, you are bound to make decisions that result in a more appealing outcome for you. If you are uncomfortable with placing your future in the hands of an expert like a financial planner or simply cannot afford professional advice, it’s up to you to get educated and savvy on all things investment. There are many magazines, websites, books and courses out there that will have you feeling knowledgeable and confident in no time. As with anything in life, you reap what you sow, so start spreading the seeds of knowledge now! A great way to minimize risk is to diversify your portfolio of investments. By distributing your money in a number of different asset classes, you will be safeguarded from fluctuations in certain markets and you will be rewarded with a more consistent and secure portfolio. Different types of asset classes include defensive investments such as fixed interest and cash and growth investments such as property and shares. That’s what your investments are saying every day. If you’re time-poor and are in charge of managing your portfolio, you may be missing out on making crucial decisions, resulting in lost profits. Successful investing also requires consistent contributions and re-balancing, so make sure that you give your investments the care and attention they need. These five tips are simple and easily to implement, so don’t delay. Before you know it, you’ll be on your way to a large, successful investment portfolio! Have you already invested before? Do you have a tip or experience to share? If so, leave a comment below. Informative article. there are many factors that must be considered but I think Goal is very very important. Because without goal a man can't achieve success. and education is important as well. thanks for your nice post.